Vasudha thrives in areas which involve defining business strategy and integration of technology and marketing in the digital space. 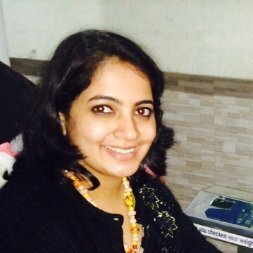 Vasudha is an Engineer in Electronics & Telecommunication with MBA in Human Resources from ICFAI University. She started her career in 2008 & has worked in various consulting, BPO, KPO, IT and Digital Marketing firms as part of her corporate curve. Training has always been her passion and various opportunities that came her way gave her an impetus to make it a full time career ahead. Today she is associated with one of the top B-schools of Mumbai as Visiting faculty as well as freelance trainer for corporate training institutes. Her experience and association with people from various domains helps her to effectively manage people and their behaviour. Vasudha is creative and possesses excellent inter-personal management skills. She has conducted training programs on Digital Marketing & brand building, E-mail writing, People Management, Leadership development, Cross-culture management, Effective Communication skills & corporate etiquette.